Bear shifter Tyler Swanson used to be a real hell-raiser and the town’s bad boy. And desperately in love with Mary Jacobsen, the pretty blonde strait-laced daughter of a cop. 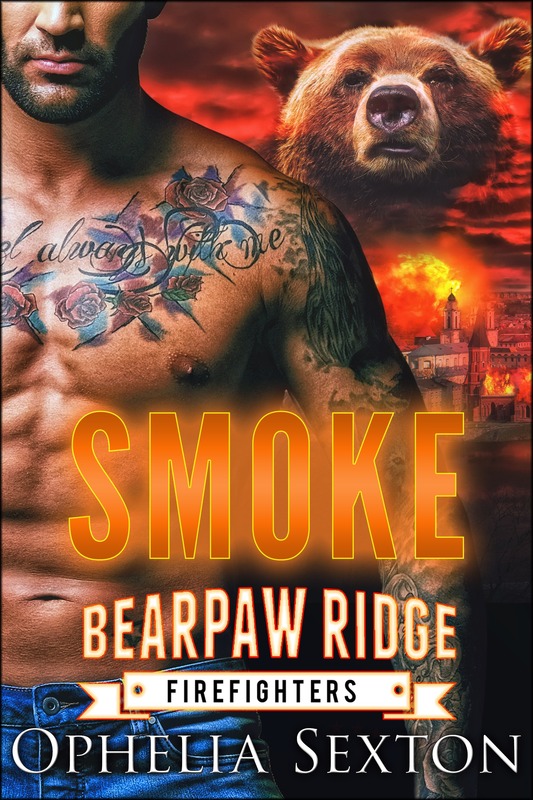 When Tyler was forced to move away from Bearpaw Ridge after a prank that nearly sent him to jail, he thought he was leaving his shifter hometown behind forever. But when Tyler’s father dies unexpectedly, Tyler, now the head of a successful construction firm, returns to Bearpaw Ridge to help his widowed mother. Trying to put his old reputation to rest, he volunteers as a firefighter as a way to reconnect with the community after so many years. But people are reluctant to forgive and forget…especially the town’s wolf shifters, who still hold a grudge against Tyler. Is this tattooed firefighter actually her fated mate? Wolf shifter Mary Jacobsen is convinced that she’ll never find a mate of her own. Her first attempt at mating ended in failure. Then she fell for her longtime friend-with-benefits…just as he was falling in love with someone else. Will their future together go up in flames? Tyler can’t believe his luck when he rescues a beautiful woman from a burning home…and it turns out to be his old flame Mary. When the heat between them ignites into a blaze and Mary becomes pregnant, Tyler offers to rebuild her house, determined to make a real home for himself, too. But it’s a rocky road to romance with her wolf pack in opposition to the match and Tyler’s enemies spreading rumors that he’s the one responsible for the recent rash of fires. When the arsonist strikes again, Tyler must find and stop him before he kills Mary and burns down the entire town. “Love the action in this story, the characters are fantastic there is drama, mystery, intrigue, suspense, twist and turns in the story. I didn’t want to put it down and so didn’t want the story to be over! It was Really a fun read.